Francesco Xaverio Castiglione was born in Cingoli near Ancona in 1761 of a noble family. Cingoli is located about 280 kilometers north of Rome near the Adriatic Sea. He was educated at Osimo and later studied canon law in Bologna and Rome. Castiglione excelled as a student and became an expert in the subject of canon law, assisting his teacher, Devoti, in his writings and becoming vicar general for him in two different dioceses. Several appointments followed. In 1800 he was appointed bishop of Montalto. When he boldly refused to sign an oath of allegiance to Napoleon’s appointed king of Italy in 1806 he was arrested and exiled until 1814. 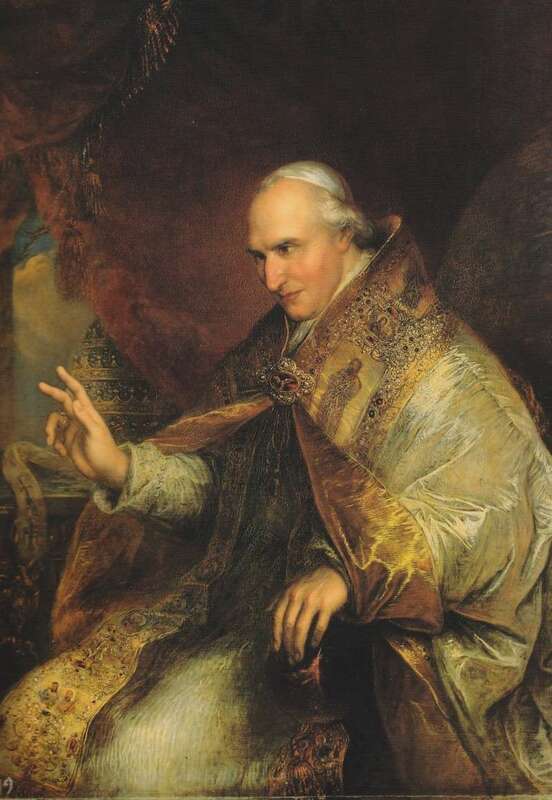 In 1816, Pius VII made him cardinal and by 1822, bishop of Frascati. 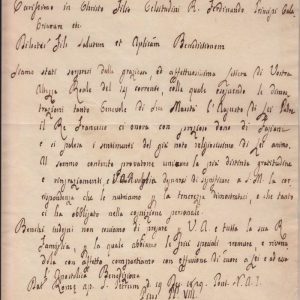 In the conclave of 1823, Castiglione was a serious candidate who approved of the conciliatory policies of Pius VII and his Secretary of State, Cardinal Consolvi. Upon the death of Leo XII in 1829 a five-week conclave ensued with no candidate emerging as a predominant choice. Castiglione was elected as a transitional pope and in March of 1829, he took the name of Pius VIII. He was sixty-seven years of age. 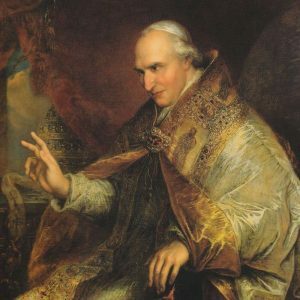 His papacy would last for only twenty months and be marked by ill health that caused him great suffering affecting both his physical appearance and demeanor. He continued to rely on Cardinal Giuseppi Albani, his Secretary of State, in all political matters, just as he had relied on him when he was a cardinal. The Secretary is said to have ruled as autocratically as if he, himself, had worn the triple crown. 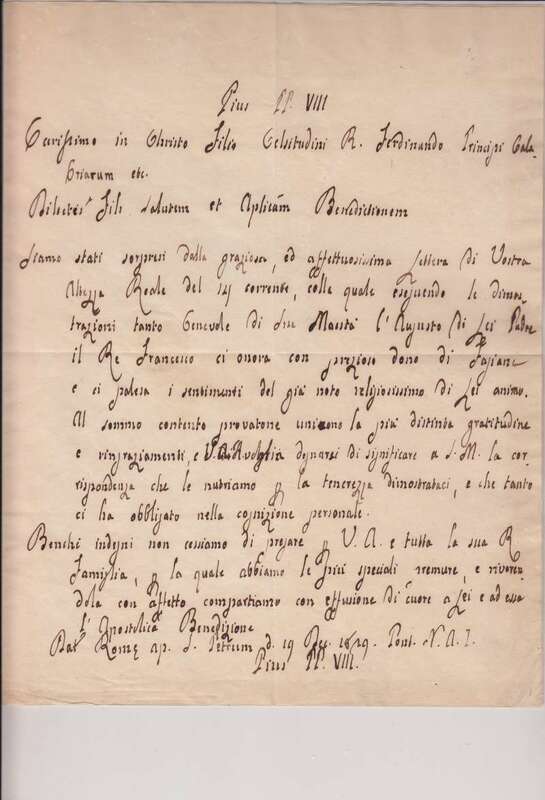 Pius VIII had great interest and concern for doctrinal issues. He believed it was religious indifference, secret societies, such as the Freemasons and the Italian Carbonari and Protestant Bible Societies who were responsible for the breakdown of society and religion. In his only encyclical he spoke about these concerns as well as the sacredness of marriage and attacks by philosophers of the day on church dogma. Prussia had laid hold of the Catholic Rhineland and Westphalia. This resulted in problems of mixed marriages between Catholics and Protestants. 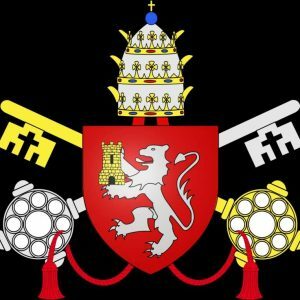 Pius reaffirmed the Church’s position, that children be raised Catholic. 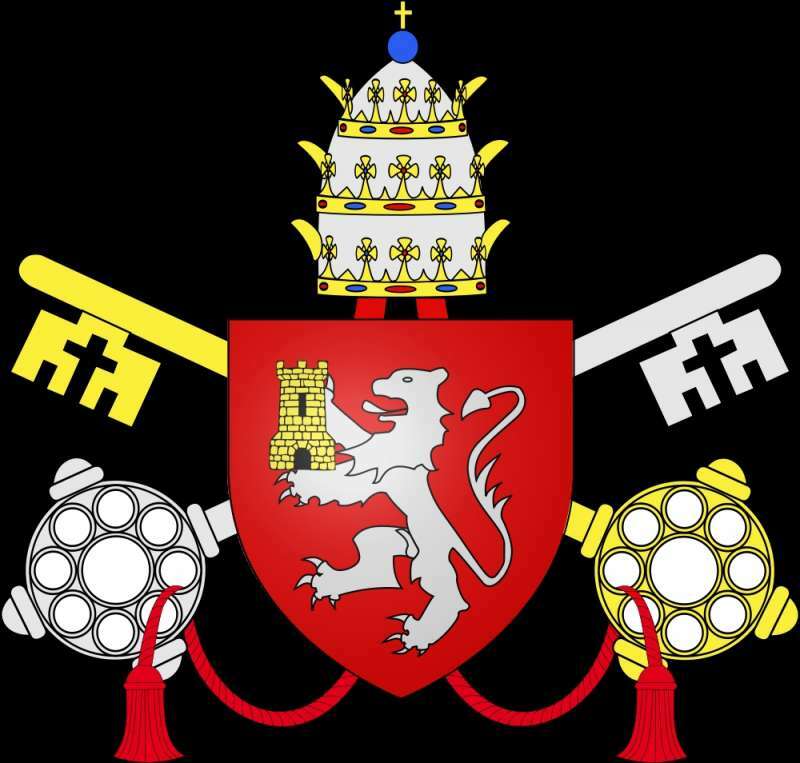 This position would resurface in the papacy of Pius’ successor, Gregory XVI (1830 – 1846). In 1829, the British Parliament passed the Catholic Emancipation Act. Pius negotiated civil and religious rights for Armenian Catholics with the Sultan of Turkey. This resulted in an archbisophric of the Armenian rite at Constantinople (now Istanbul). In the United States a council was held in Baltimore which resulted in stronger ties with Rome when Pius approved its decrees. Pius VIII died in November 1830. 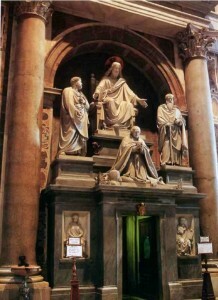 He was buried in St. Peter’s Basilica. The location of Pius VIII’s monument, pictured here, is very interesting: it shows the Pope kneeling, accompanied by a statue of Christ enthroned, with statues of Sts. Peter and Paul. The allegories are Prudence and Justice. Under the monument is a door leading to the Sacristy and Treasury Museum. In this passage is a list of all the popes buried in St. Peter’s. In front of the monument is a Mass schedule for the basilica.